Coming to a show at The O2 arena? Pre-booked car parking: Remember it’s always best to pre-book your parking. Just in case we’re full on the day. Valet Parking: Leave your keys with us and we’ll park your car at the VIP entrance. 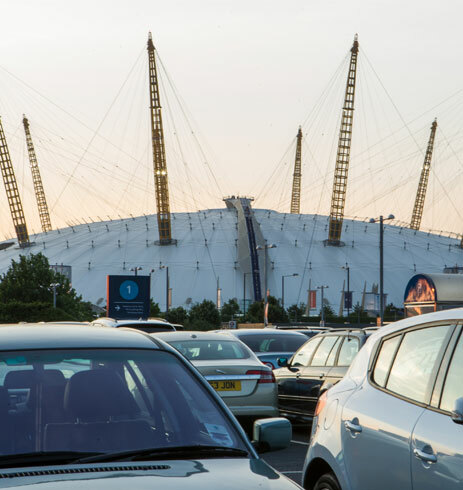 Parking for bars, restaurants, the British Music Experience and Up At The O2 is available at hourly rates in car parks 2 and 3. Step away from the perfume and socks. Treat your friends and family to an unforgettable adventure. 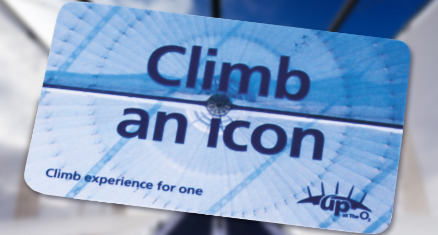 Our gift cards let you choose the date and time of your climb. And they’re valid for a whole year. 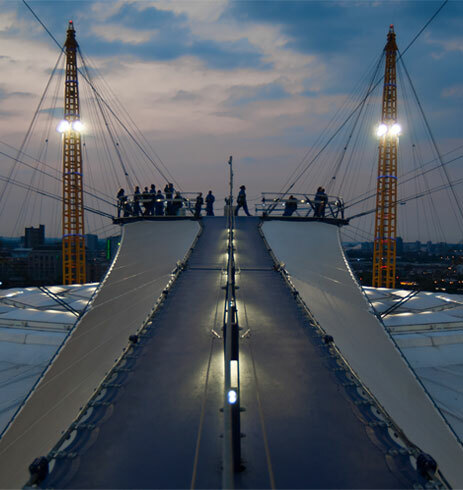 Prepare yourself for a 90 minute expedition over our iconic roof with the Up at The O2 app. 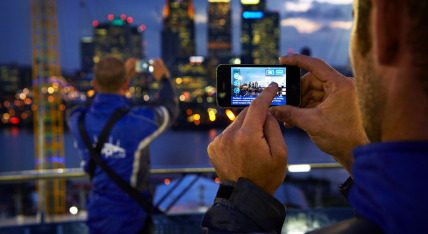 Get a labelled view of the skyline showing all the famous landmarks. Stay on top of the weather with temperature, wind speed and visibility gauges. Find out all about your equipment and what's involved with the climb.